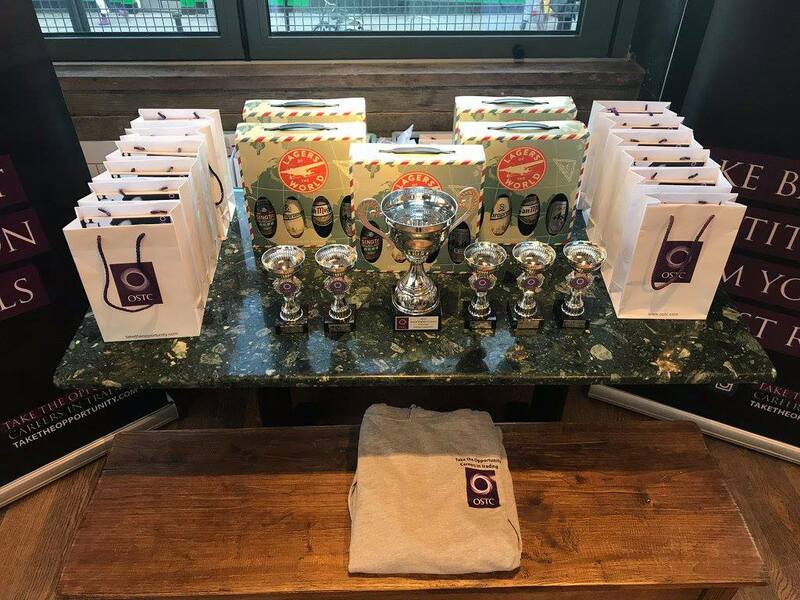 For the second year in a row, Brighton brought the OSTC Trading Challenge cup home. OTSC, a global trading company, have drafted us this article about the competition. 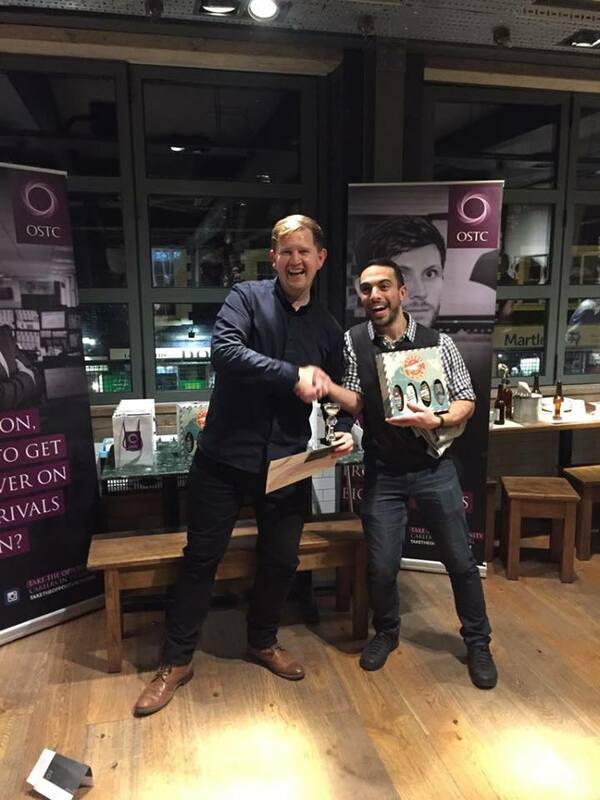 Congratulations to Finance and Investment BSc(Hons) student Diego, who was the top trader, winning a week’s work experience at OSTC. Well done to everyone from the University of Brighton and the University of Sussex who too part. The OSTC Trading Challenge provides a unique opportunity for students to test their trading skills on the live simulated trading platform. The virtual environment allows students to trade financial derivatives across a range of products including; commodities, equities and fixed income. Brighton’s OSTC sponsored Trading Room enables students to use virtual funds to invest in the market as they see fit. The markets and industry news are real; the positions, profits and losses are fictional. The challenge teaches students to make decisions under pressure, take calculated risks and experience the excitement of the trading floor. The student with the largest profit at the end of the competition is invited to a week-long experience as a Junior Trader at the OSTC Brighton office. The top five traders from the event receive a trophy at the annual awards evening held in Brighton. This year’s event was a close affair with Brighton taking the overall victory for the second year a row! This takes the overall series to 3-3 making the competition in 2019 even more exciting. The event as always was very well received with over 40 students attending each of the launch events and continually asking questions throughout the game period. There was a huge range of skill bases involved, from first-time traders to those that had traded before on their own. The event offers students a taste of life as a trader to allow them to make an informed decision as to whether this is the career for them. It also enables OSTC to interact with students who have a passion for the financial markets and have implemented successful strategies over the course of the five-week event. OSTC Brighton have a number of alumni from both Brighton and Sussex universities, with previous winners still succeeding at the highest level within the OSTC Group. Sam Baker, MD of OSTC Brighton said: “As an alumnus of Brighton University, it gives me great pleasure to offer the same opportunity to others that I received when I left university. Working with OSTC not only gave me a great start to my career but changed my life too. We’re proud that a number of our alumni have gone onto work for OSTC. Tagged alumni, Competition, finance and investment, Industry, OSTC. Bookmark the permalink.